When they lowered the coffin into the ground, it wasn’t yet 11 a.m., but already the hot sun had forced many mourners to seek refuge. Some stood in the shade of nearby trees dotting the Delano cemetery. A few protected themselves under umbrellas. Others didn’t bother, saying silent goodbyes as they stoically withstood the heat, just like the man being laid to rest had done for decades. 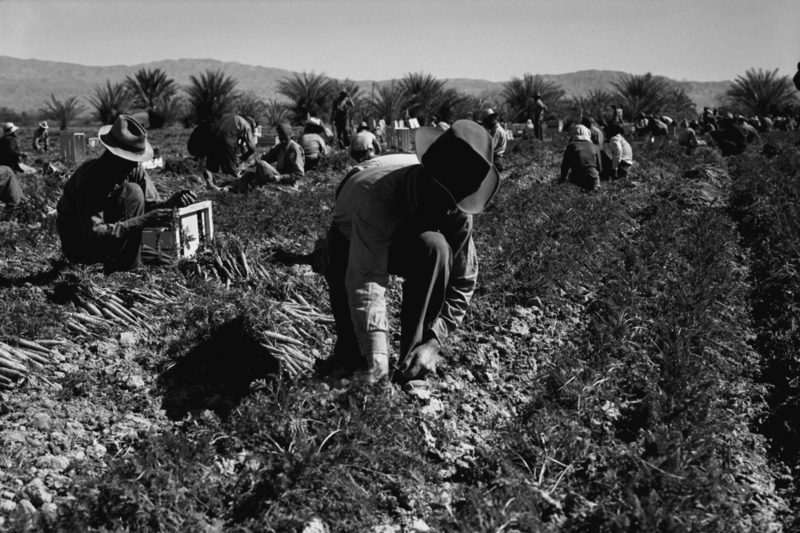 Esteban Nuño was a farmworker. He was born in Tepantla, Jalisco, 70 years ago, the youngest of nine siblings. He left Mexico for the United States in 1964, when he was 20, and found work in the fields of the San Joaquin Valley, picking grapes, oranges and grapefruit. For 50 years, his hands harvested food that fed the nation. It was hard work in which Esteban took great pride and at which he excelled. In 1971, after settling in Delano, Esteban married a young woman who had immigrated from Zacatecas. The home they shared became a point of contact for family members making their way to el Norte. Esteban and Consuelo lived frugally and saved enough to buy a second modest residence nearby. As some of Esteban’s nephews came north, they and their families stayed in that second house until each family outgrew the place and found homes of their own. Esteban returned to Jalisco every few years, sometimes taking one of his children or grandchildren with him. His home was now in California, and he would never live in Jalisco again. It probably never crossed Esteban’s mind to calculate how much money he sent back to family members during his decades working in the fields. His hard-earned dollars were part of the billions in remittances that Mexico’s sons and daughters send to their families each year to help buy food, build houses, and maybe fund someone else’s trip north. Although he spent most of his life in a small agricultural community, Esteban saw history being made, and he made a little history himself. On March 10, 1968, he stood near the tiny Delano airstrip and watched as Sen. Robert F. Kennedy exited a small private plane and was escorted to the United Farm Workers’ headquarters at Forty Acres to help Cesar Chavez break a 25 day fast. Seven years later, after California passed historic legislation granting farmworkers the right to vote in union elections, Esteban was among the first to cast a vote for collective bargaining. Esteban’s connection to the earth went beyond his work. His backyard was a cornucopia of lemon, peach, grapefruit, and orange trees and plants bearing chilies and tomatoes. Until he was diagnosed with leukemia, and chemotherapy robbed him of his strength, he spent hours each week working a little plot of land in the Delano community garden. He delighted in tending sunflowers that towered over him. The leukemia beat him after four years. On the day of the funeral, Our Lady of Guadalupe Church was packed with mourners. They came from Delano, Bakersfield, Poplar, Earlimart, Hanford, Fresno, and other agricultural towns hugging the valley’s Highway 99. Esteban’s 72-year-old sister travelled from Jalisco. Nephews and nieces came with their spouses, their children and, their grandchildren. Esteban was my brother-in-law, and I drove from San Diego with my daughter to remember and honor him. Some of Esteban’s nephews organized food for a reception at the church hall. With their full, round faces and over-sized mustaches, they were living images of their uncle. Men wearing work shirts, work pants, and wide leather belts stood in line for plates of tacos to take to their wives and children sitting at tables throughout the church hall. People who hadn’t seen each other for some time hugged affectionately. A few crying babies needed extra attention. But underneath the outward appearance of normalcy, everyone was grieving deeply for Esteban and remembering what he had meant to them. I will always remember how Esteban gave my son comfort and love and laughter when he needed those things the most. Two years earlier, a few days after his birthday, Frankie was visiting his abuelito when Esteban beckoned him over to the northwest corner of the front yard. Esteban pointed to a pine tree that Frankie had seen many times. Then he pointed to a small, rectangular piece of wood, attached to the tree with wire. “8-23-94 F.R.” was carved into the wood. Frankie’s birthdate and initials. His abuelito smiled broadly and told his grandson that he had planted the tree the day Frankie was born. It was a secret Esteban had kept from everyone, even Consuelo, for 18 years. Esteban must have loved caring for that special tree, watching it mature, patiently waiting for the day when he would tell his grandson how he had celebrated Frankie’s birth. Frankie’s tree, in the corner of the yard on Albany Street in Delano, California, stands as a living tribute to a man who, by his example, taught his children and grandchildren about the value and dignity of all work and about dedication to family. In Esteban Nuño, Mexico had sent one of its best. Dorothy Johnson lives in San Diego County and works as an Administrative Law Judge for the State of California. She wrote this for “Reimagining California,” a partnership of the California Endowment and Zócalo Public Square. *Photo courtesy of Everett Historical.